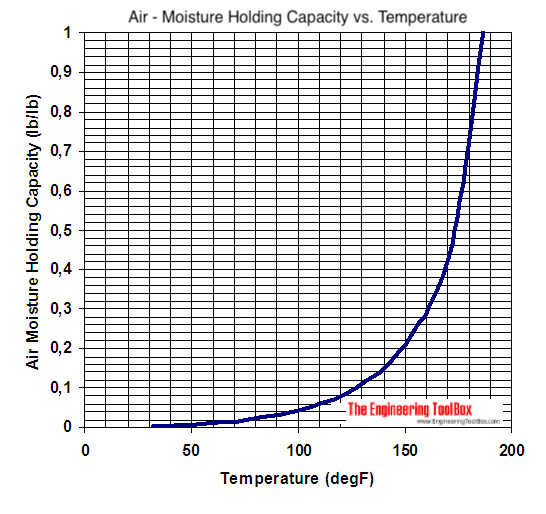 The moisture holding capacity of air increases dramatically with increased temperature as indicated in the diagrams below. 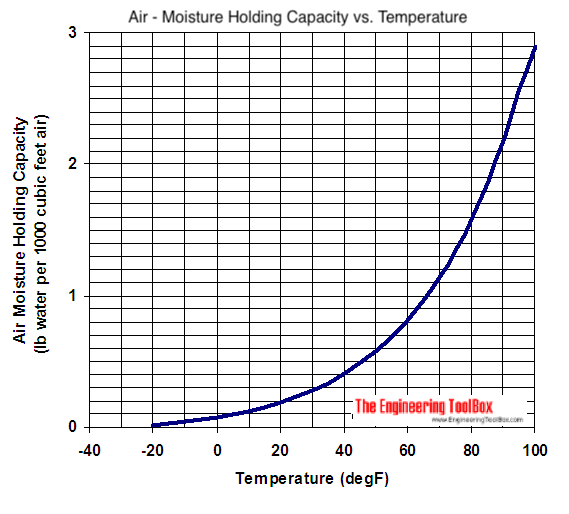 Note - the moisture holding capacity of air at 100oF (38 oC) is 10 times the moisture holding capacity of air at 30oF (~ 0 oC). This is a very important observation - especially when working with drying processes where air is used to transport moisture away from process and products. it is in general good energy economy to increase the air temperature in a dryer as much as possible! - the increased moisture transport capacity of air at higher temperature out-weights the increased energy-consumption for heating the dry air to higher temperature! Engineering ToolBox, (2003). Moisture Holding Capacity of Air. 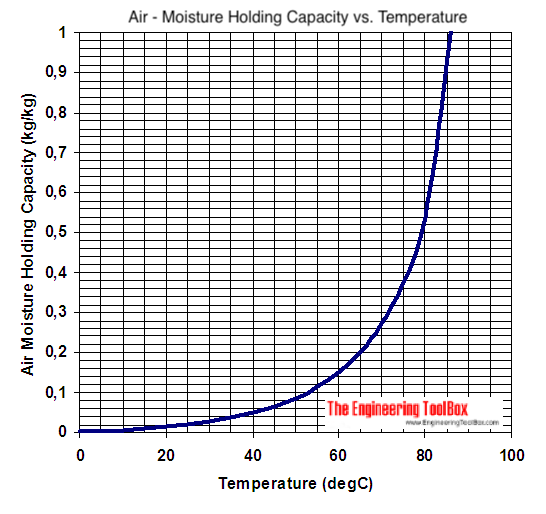 [online] Available at: https://www.engineeringtoolbox.com/moisture-holding-capacity-air-d_281.html [Accessed Day Mo. Year].